Where do our contributions go? On March 5th, 2018, seven 4th year Physiotherapy students from the University of Newcastle begun an unforgettable educational experience, working at the Christian Medical College (CMC) Hospital, India. A rare opportunity to learn and work amongst physiotherapists in all departments within the hospital. In India, we were surprised to learn that there was no public health support system, and that all healthcare is an out of pocket expense. CMC aims to provide all with more affordable and accessible health care. Physiotherapy appointments for example are subsidised to equate to approximately AUD$3. Some, however, still cannot afford this, and in these cases the hospital will cover a patients’ costs. Many will still have to make tremendous sacrifices to receive healthcare for themselves and their families. For example, one patient had to sell their family barber shop to pay for an ACL reconstruction. The hospital is a missionary, and funding for up-to date equipment and more expensive procedures is not provided from the government or a higher owner. Donations from inside India and around the world are relied upon for these purchases. Many of the physiotherapists working at CMC provided resources such as strapping tape and massage cream out of their own expense for their patients! 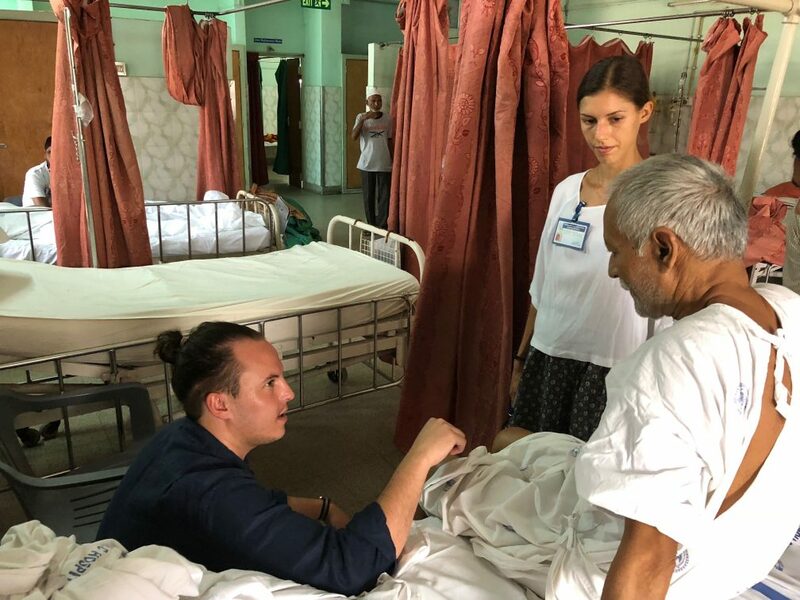 After our first week at the hospital, we learnt many stories of family sacrifices, the financial burden of seeking healthcare and the need for help. From this we decided to take action and start fundraising. One of many experiences which provoked our decision to start fundraising, was in the paediatric physiotherapy department. Here we saw many children with neurological disorders whom were unable to walk. 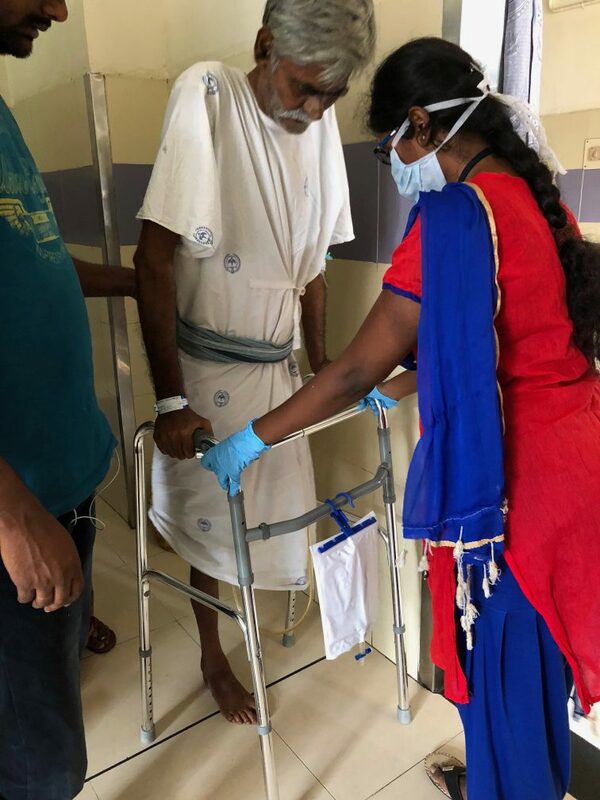 Upon visiting CMC physiotherapy, they are given the opportunity to walk with the assistance of AFO’s (ankle foot orthoses), however at a cost approximately AUD$140 very few can afford their own AFO’s. Once their prepaid physiotherapy sessions ended, the child returns home, unlikely to walk again. Our fundraising once back in Australia included several cake stalls at the university, and one of the students, Samantha Smith through her business Alchemy Chocolate, produced an Indian inspired raw vegan chocolate flavour ‘Masala Spice’, with 50% of every sale contributing to the fundraising pool (it should be noted, this flavour was a huge success and a new favourite of many!!). Our goal was to raise at least $1000.00, which we had great success in raising this within 6 months of being home! We have since sent this money to the Physiotherapy department to help purchase essential equipment such as wheelchairs, walking frames, exercise equipment, standing tables etc. We all feel very lucky to have had this opportunity, to experience such a variety of areas that physiotherapists work in within a hospital; outpatients, paediatrics, chronic pain, haemophilia, acute medical and surgical, neurology, orthopaedic, cardio and respiratory and inpatient rehabilitation for spinal cord injuries and traumatic brain injuries. 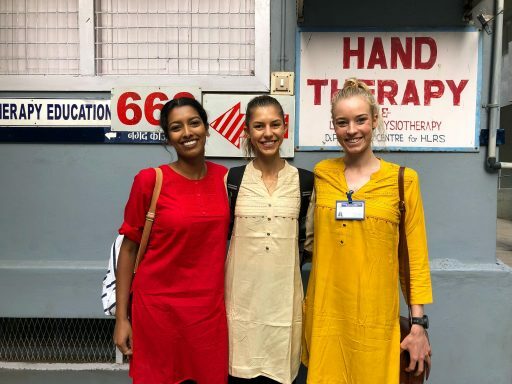 It is very rare in Australian hospitals and private practices to experience such an array of conditions and physiotherapy interventions throughout our many placement blocks through our degree, therefore we are so privileged to have been part of the physiotherapy team for those 5 weeks. This opportunity was one-of-a-kind physiotherapy placement, very few would ever get to experience as a student. We can’t thank enough the whole department and all the staff from CMC whom helped and supported us during our stay. 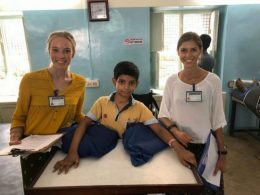 Since coming back to Australia, Sam and Josie have been busy raising funds for the Physiotherapy Department at CMC and recently we received a deposit of A$1,220.00 from what they have collected over the past 6 months. This has been a collection of cake stalls & through Sam’s Alchemy Chocolate business promotion! Thank you very much Sam & Josie for you hard work in raising funds and we are sure the Department will find a very good use for this kind and generous donation.